This September, the extent of Arctic sea ice shrank to roughly 4.7 million square kilometres, as was determined by researchers at the Alfred Wegener Institute, the University of Bremen and Universität Hamburg. Though slightly larger than last year, the minimum sea ice extent 2017 is average for the past ten years and far below the numbers from 1979 to 2006. The Northeast Passage was traversable for ships without the need for icebreakers. The sea ice in the Arctic is considered a critical element in climate processes, and a valuable early-warning system for global warming. Accordingly, the September minimum extent is an important indicator of climate change. Despite an especially warm winter, the current extent of sea ice does not represent a new record low; nevertheless, the amount of ice loss is massive. As sea-ice physicist Marcel Nicolaus from the Alfred Wegener Institute, Helmholtz Centre for Polar and Marine Research (AWI) explains, "This year's sea ice extent is again on a very low level: the observed September value of the past eleven years has consistently been lower than in any of the previous years." This winter, the Arctic remained unusually warm, and the sea-ice coverage in March was lower than in any March before. "Thanks to the relatively cold summer, the sea ice managed to bounce back somewhat, but this year's September minimum is by no means a good sign," stresses Lars Kaleschke from Universität Hamburg's Center for Earth System Research and Sustainability. "Though the amount of sea ice is of course subject to natural fluctuations, the long-term decline is obvious." For comparison, the summertime minimums in the 1970s and 1980s were roughly seven million square kilometres. 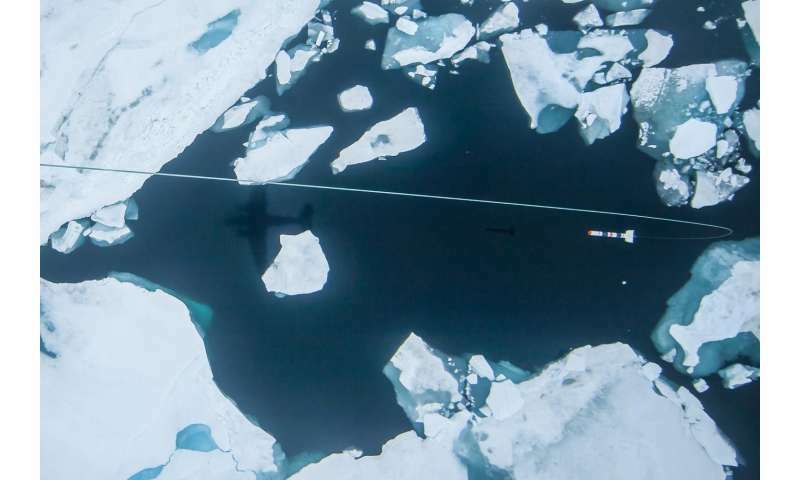 The sea-ice covered area is measured with the help of satellites. The high-resolution microwave satellite data are jointly provided by the University of Bremen and Universität Hamburg. They allow to precisely analyse the daily sea-ice extent over the entire Arctic. "That's particularly important for the shipping industry. This summer, the Northeast Passage along the Russian coast could be used without the need for icebreakers, and many ships also used the Northwest Passage," says Gunnar Spreen from the University of Bremen's Institute of Environmental Physics. Several months before the September minimum, scientists from around the globe provided information on the projected minimum sea-ice areas in the "Sea Ice Outlook". This year, the Alfred Wegener Institute contributed estimates based on two different forecasting methods for Arctic seasonal sea-ice, which produced similar results very close to the actual September minimum: in July, the AWI's dynamic forecasting model called for a September minimum of 4.93 million square kilometres, while its static model estimated an area of 4.74 million square kilometres. This year, the spatial distribution of sea-ice differed from the patterns in recent years, and from the long-term pattern. Less ice than in 2016 was recorded in the Chukchi and East Siberian Seas. In contrast, more ice was observed north of Svalbard and in the Beaufort Sea. 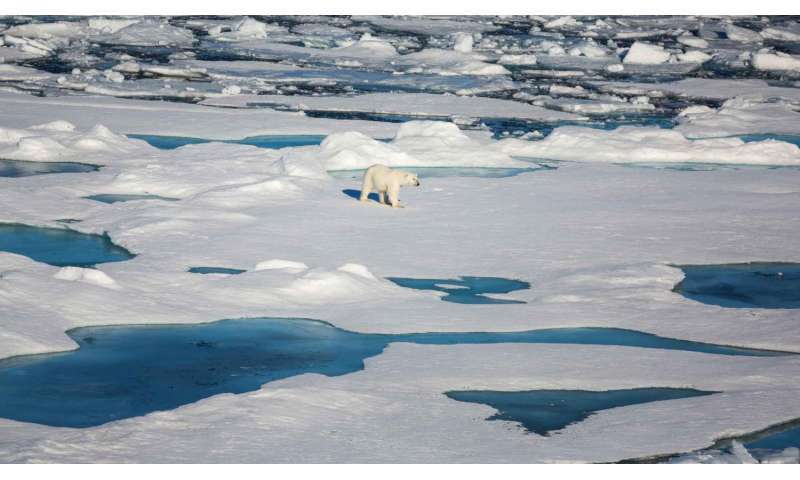 In some regions on the fringes of the Artic Ocean, surface melting began fairly early, while in large regions of the central Arctic Ocean, melt onset was observed a few days later than the average for 1981 to 2010. The timing of melt onset is not only important with regard to the overall mass of sea ice; it also determines the lifecycle of the organisms in and below the sea ice. 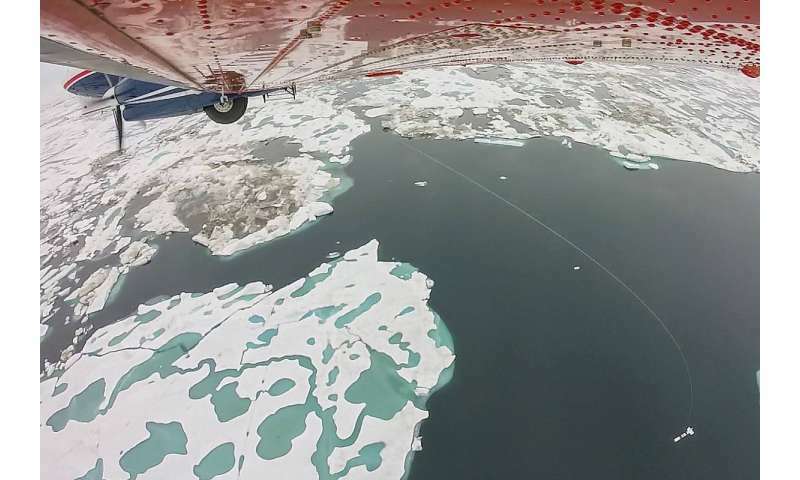 During the past weeks, sea-ice thickness measurements were the main topic of the TIFAX (Thick Ice Feeding Arctic Export) campaign, which involved research aircraft using laser scanners and a towed electromagnetic probe. In the area surveyed, which lies to the north of the Fram Strait between Greenland and Svalbard, the sea-ice thickness was ca. 1.7 metres, roughly 50 centimetres more than was recorded in 2016. This is most likely due in part to a higher percentage of several-year-old ice in the area. Nevertheless, the measured thickness is ca. 30 per cent lower than between 2001 and 2004. 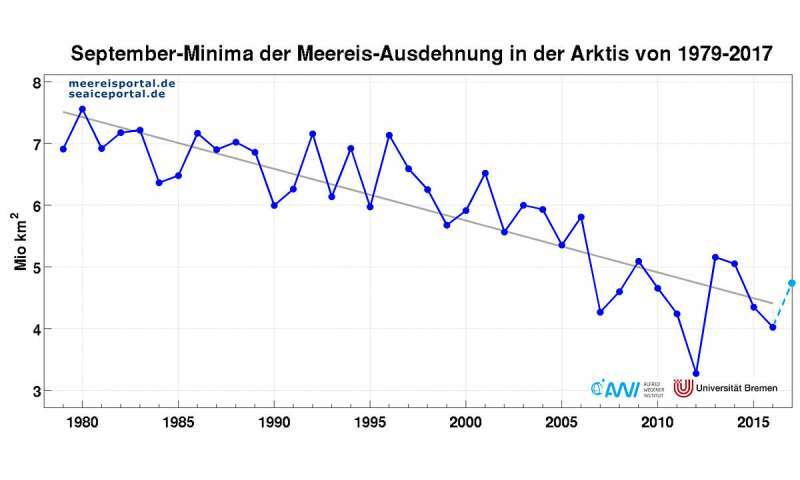 As Marcel Nicolaus summarises, "Despite the warm winter, the sea ice wasn't unusually thin. Our explanation is that the small and thin ice coverage from the previous summer - the second-smallest area ever recorded - grew faster and thicker than in other years, since thin ice grows faster than thick ice." The exact date and value of the minimum sea ice extent in 2017 can only be determined in the coming weeks, after a significant increase. The monthly mean of the September sea ice extent can then only be determined in October. It is expected to be roughly 5 million square kilometres for September 2017. The scientists summarize: "The low Arctic sea ice extent ranks amongst the low values of the last decade. We do not expect an extent of 6 or 7 million square kilometres in the coming decades, as it was typical for the decades up to the year 2000."